At Corlears, as at most independent schools, tuition and other earned income cover only a portion of the cost of educating each student, with the remainder made up by fundraising. 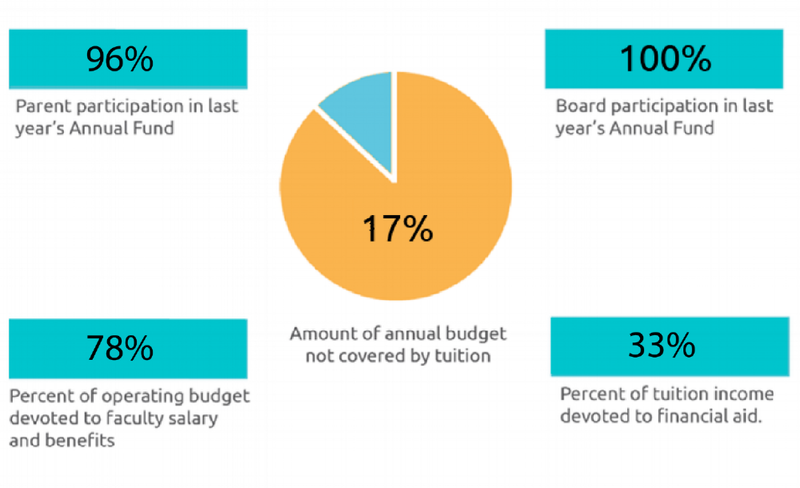 Annually, Corlears must bridge the gap between tuition and the full cost of a comprehensive education. The current gap is approximately $4,000 for each Corlears student. Every gift made to the Corlears Annual Fund helps secure and enhance this visionary school. Each gift is important, and if everyone in our community contributes what he or she can, we will be able to keep compassion, imagination and critical thinking at the center of our future growth. At Corlears, as at most independent schools, tuition and other earned income cover only a portion of the cost of educating each student, with the remainder made up by responsible, sustainable fundraising. Partnering with us by giving to the Annual fund supports a community that prioritizes awareness, empathy and diversity. We encourage you to support the Annual Fund in a way that is comfortable to your family and hope Corlears will be your highest philanthropic priority. "Corlears combines the best of progressive education with a caring, nurturing environment. We have a daughter and a son who are among the youngest and oldest, respectively, in their grades, and have very different temperaments. We have been struck by how the structure of the school has allowed them both to thrive. Activities and programs essential to Corlears' identity are supported by the annual fund. Therefore, it is important for us to show our gratitude to the school by making a donation. This donation is meant both to give our daughter an example of how to be generous and to serve as a contribution to offer another child the possibility of having the same privileged education that she receives.